With the industry focus on live in-play betting, and the ever increasing focus on mobile betting as a whole, the natural assumption would be that betting shops suffered in 2015. Indeed, one of the latest BetVictor adverts promotes the idea of placing a bet at a shop as an outdated and somewhat horrifying experience. 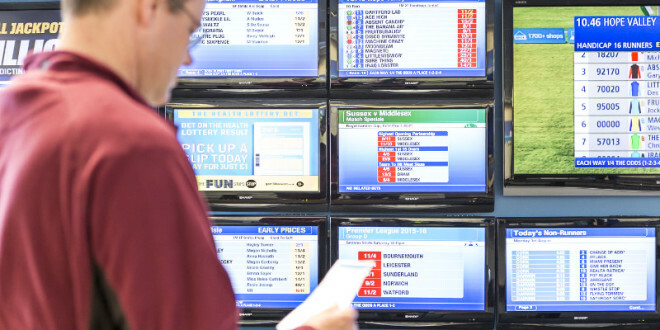 Here’s an analysis of how betting shops coped in 2015. Four operators dominate the betting industry in Great Britain, these are Gala Coral, William Hill, Ladbrokes and Betfred. As of September 2015 these accounted for 87% of betting shops in the region. The total number of betting shops operated by these in March 2012 was 7,521, whilst the latest figure (September 2015) sits at 7,703 showing an increase of 182 shops for the big four. Add into the equation other, smaller operators though and the view changes dramatically. The total number of shops was 9,128 (March 2012) whilst September 2015’s figure was 8,819 showing a sizable overall decrease of 309 shops. The data clearly shows that whilst the big four have largely maintained their betting shop numbers since 2012, there have been large amounts of closures amongst smaller operators. A closer look too shows that with the smaller operators whilst numbers have been steadily falling since 2012, there was a particularly significant drop this year between the time of the last report (March 2015, 1,241 shops) and September 2015 (1,116 shops). As a comparison, in that same period William Hill added four shops, Gala Coral have added twelve, Betfred have remained the same, and Ladbrokes have closed twenty-four. Remove Ladbrokes, which has suffered greatly since 2014 leading to the intended merger with Gala Coral, and of the top four operators – sixteen shops were added from March to September this year. Since 2008/9 the GGY that off course betting operators have been making on horseracing has dwindled. In 2008/9 the GGY was £843.79 on turnover of £5.74bn but in 2014/15 this has dropped to £628m on turnover of £4.7bn. These figures don’t take into account the increase in media rights and the Horseracing Betting Levy costs to the bookmaker. Over that time greyhound betting has also seen its GGY fall from £304m to £216m and a £390m drop in turnover. In comparison football betting has seen a modest GGY increase from £225m to £279m but the turnover on the sport has jumped from £942m to £1.3bn. It’s evident that the revision of the Gambling Act in the UK in 2014 made things more difficult for gambling firms operating within its jurisdiction, and those with less financial clout ie. smaller operators were forced into such closures to consolidate, and try to survive. However it must be remembered that the Act also included a tax rise on fixed-odds betting terminals and electronic touch screen gaming machines. Between April 2014 and March 2015, betting shops accounted for 21% of the overall number of gaming machines across all licensed sectors and as such accounted for a sizable amount of their profitability. The numbers of these gaming machines actually rose between March 2015 and April 2015, from an average of 34,618 to 34,685 across operators.